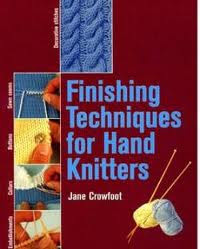 My first book - Finishing Techniques For Handknitters - was first published in 2003 and has been reprinted ever since, however this title is now out of print and according to the publishers there are no plans to republish it. The book is currently for sale at ridiculously high prices (£248 being the highest price I have seen so far! ), but you can still get used copies on line for relatively cheap prices if you are prepared to hunt around. 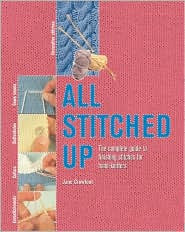 The book was first published in the US under the title 'All Stitched up' and there are new copies of this book available at the recommended retail price should you be prepared to hunt around for it - although the price appears to fluctuate quite alot - of course second hand copies are cheaper! The US version is EXACTLY the same as in the UK it simply has a different title!